“He’s put the wind in the sail and he’s brought notice to Manhattan,” says Brad Everett, a general manager at the Hilton Garden Inn in Manhattan. Between 2011 to 2015, K-State spent about $205 million to improve its athletic facilities. An economic impact study conducted by the Austin, Texas, frim Angelou Economics says 87 percent ($178.5 million) of the money went to improving the football program and the now-50,000-seat stadium. 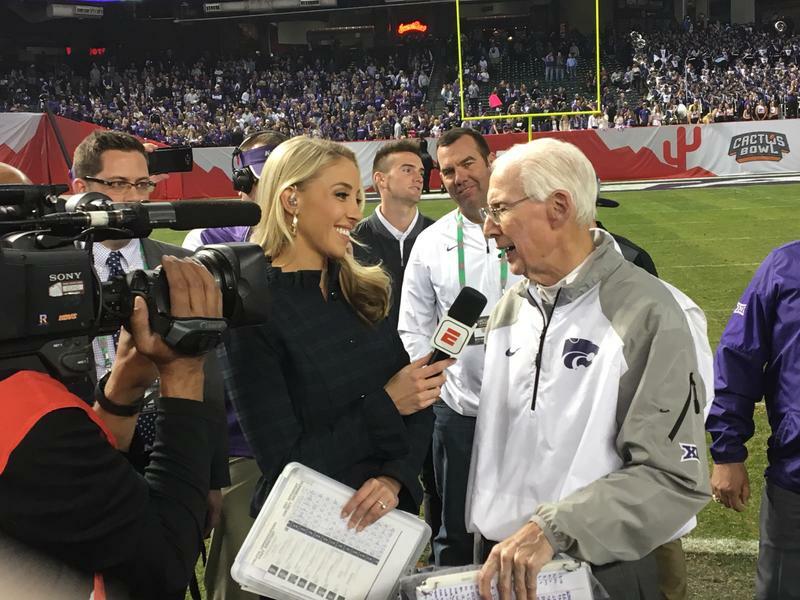 “I was there before Bill Snyder was there and I was there while Bill Snyder was showing up. It’s like we were nothing,” Kansas State fan Michael Johnson says. 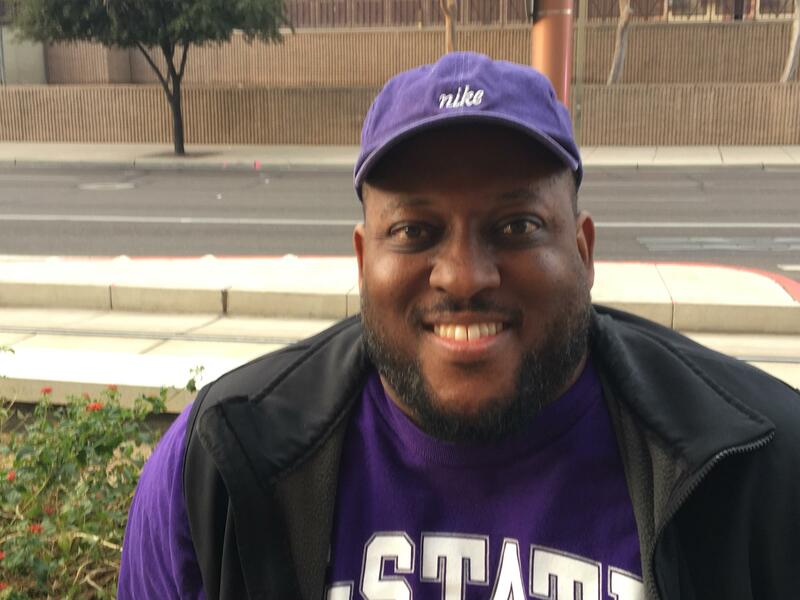 He lives in Arizona and attended the Cactus Bowl in Phoenix, where purple-clad people dotted the stands. Johnson and other Wildcat fans have emerged from a slumber that lasted for decades before Snyder. Three times in the last five years (2013, ’14 and ’15), K-State was second in the nation for filling its home stadium at capacity. What Snyder decides to do, though, is certain to have an impact. Almost a year ago, Snyder was diagnosed with throat cancer, which is in remission after treatment. And though his contract is technically up he has a clause in it that allows him to coach for as long as he wants. Snyder said last week that he doesn’t know whether he’ll coach in 2018. Winter is referring to when Snyder left for three seasons (2006-’08) and K-State hired Ron Prince. Prince had two losing seasons, prompting Snyder to return. Since then, the Wildcats have gone to eight straight bowl games. “He doesn’t give anything away. I don’t even know much he gives away to his staff and his family. He lives in his own world, I’ve believed, but he knows what he is doing,” Corbitt says.